You've fallen into the swing of the year, and now Halloween is threatening to make you crazy. We've all been there. I'm sure you've heard the expression, "If you can't beat them, join them." I have found that this mentality can take you SO far during Halloween! Click on the picture to the left or on this link to be taken to a post I wrote last year about how to use the holidays to your advantage. I will write the spark notes below, but if you'd like more details, I recommend visiting that link. Revisit routines through interactive modeling. Have kids move throughout the day as often as possible. Brain breaks are your friend. Use more reinforcing language than you thought humanly possible. Give distractions full attention. Leading up to holidays, there are some things that beg for students' attention (cool costumes, that spooky Halloween rumor going around, etc.). Spend 20 seconds devoting ALL of your attention, and then immediately move on. You'll spend that amount of time begging for your kids to listen anyway, and now kids won't be thinking about it quietly while you teach on! 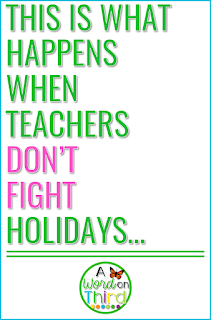 I also try to find as many holiday-themed lesson activities that fit with my objectives. If you can find them, you're going to have an engaged class. 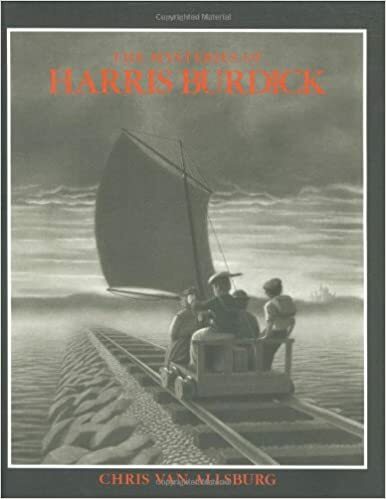 For writing, I love to use The Mysteries of Harris Burdick! Chris Van Allsburg put together 14 really thought-provoking (and eerie) black and white drawings for this book. The myth he created is that an unknown author (Harris Burdick) brought them to a publisher to see if they had interest in publishing his work, but never came back to follow up despite strong interest from the publisher. Each drawing is accompanied by a title and caption. Together with the pictures, they entice readers to make up their own stories to go along with the pictures. The pictures are all unrelated, so there are lots of options for writers. I typically spend a day teaching a planning strategy, and the next day I teach a mini-lesson on a revising strategy. Then we will read our pieces to our partners. It only takes two days, so it's not disruptive, but it's still fun and valuable for the kids. 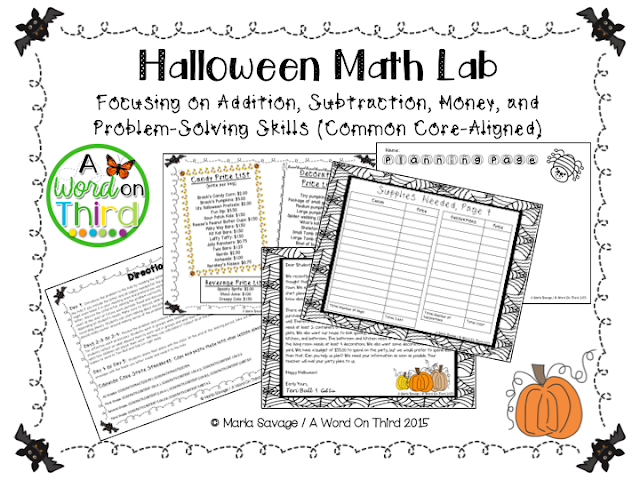 Another favorite activity of mine is this differentiated Halloween math lab I created. 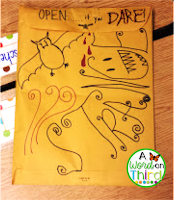 Your class will receive a strange, mysterious letter with a request for help in planning a Halloween party from some spooky neighbors (named Teri Bull and Gob Lin). 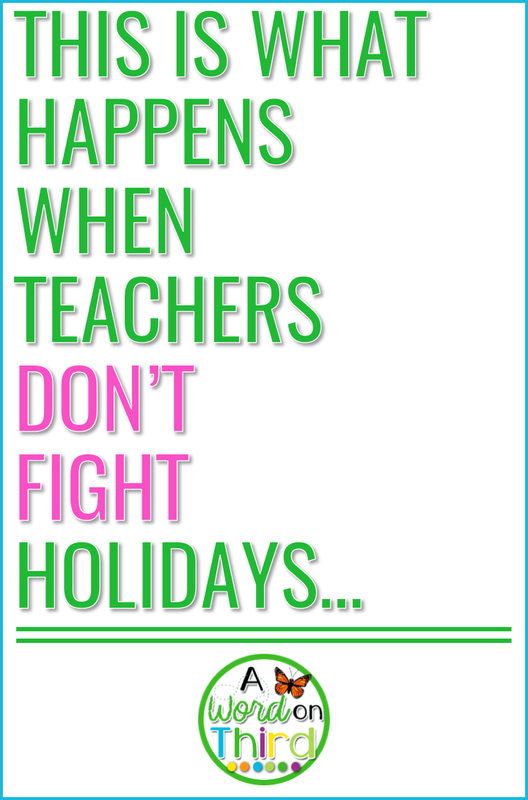 The lesson plans are all included, and there's no prep involved other than copying. 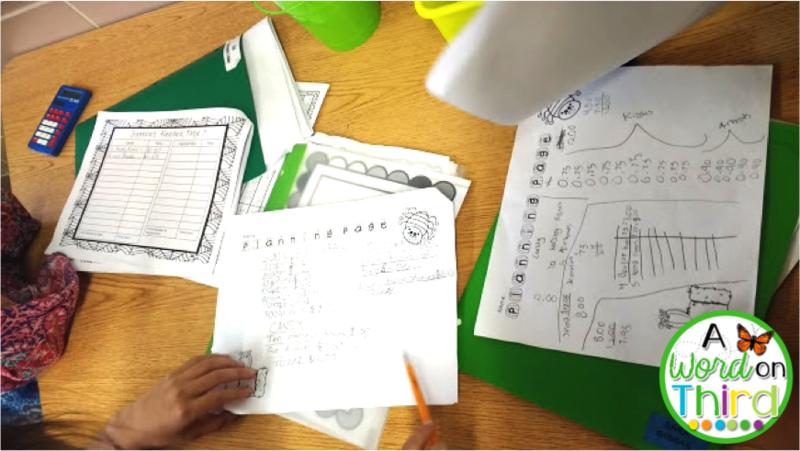 There are 3 different price lists, which could make this very challenging for 1st graders (if you're using the easiest price list) or quite challenging for 4th graders (if you're using the most difficult price list). 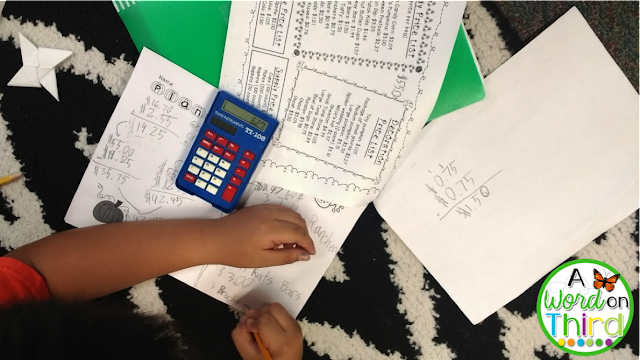 This year I changed it up--I taught into checking for reasonable estimates and using calculators to check work. We also talked about what organizing and showing our work should look like, which you can see a bit of above. This took me about 4 days. If you want to use this for first graders, I definitely recommend letting them use calculators the whole time. For fourth graders, maybe they will only check their work with calculators. The choice is yours! Of course, I'll make sure the kids get some spooky Thank You notes for helping Teri and Gob. And because I love you guys and know how tired you probably are at this time of the year, I decided to throw a sale so you can buy this and everything else in my store at 15% off! Just make sure to visit my store here. 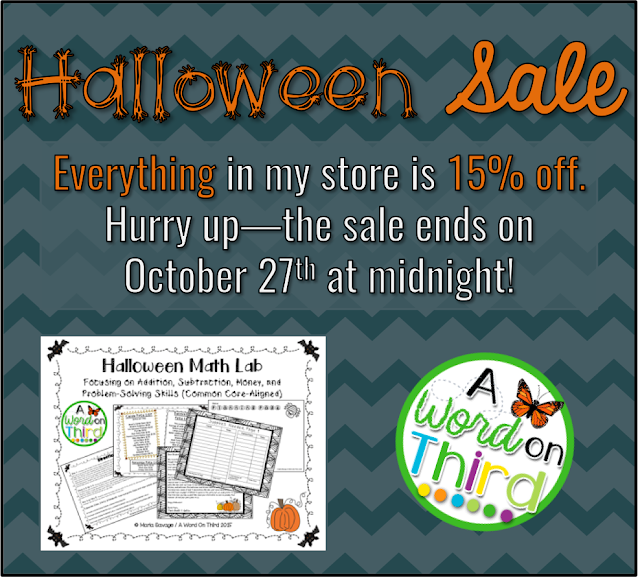 You can also click the sale graphic below to check out my Halloween resource!